4th OEET WORKSHOP: Why do some economies emerge while others do not? OEET is happy to announce that the 4th Workshop on Emerging Economies was held in Turin on May 15-16, 2017 (Sala Lauree Rossa, Campus Luigi Einaudi). You can download the presentations below, by clicking on each title. Julien Vercueil (INALCO, Paris), Emerging Economies, emerging processes, and rents: some remarks on the Russian case. Giovanni Andrea Cornia (University of Florence), Can countries escape low-level equilibrium poverty traps? The case of Bangladesh and Niger. Francesca Spigarelli (University of Macerata), Should we keep calling them Emerging Economies ? Rise and fall of a taxonomy. Some comments on the Chinese case. Silvio Angori (CEO, Pininfarina S.p.A.), Stefano Namari (Studio Namari and Cornaglia Group), Luca Pignatelli (Head of the Centre of Economic Studies, Unione Industriale Torino). Jan Priewe (University of Applied Sciences, Berlin), How to define emerging economies and how to distinguish them from 'developed'? Donatella Saccone (University of Turin and OEET), Emerging economies: what, who and why. 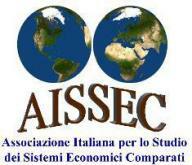 Vittorio Valli (University of Turin and OEET), Emerged and emerging economies: the cases of South Korea and Indonesia. Michele Boario (United Nations Industrial Development Organization), Is Myanmar an emerging economy? Suggestions from a comparison with Vietnam and Thailand. 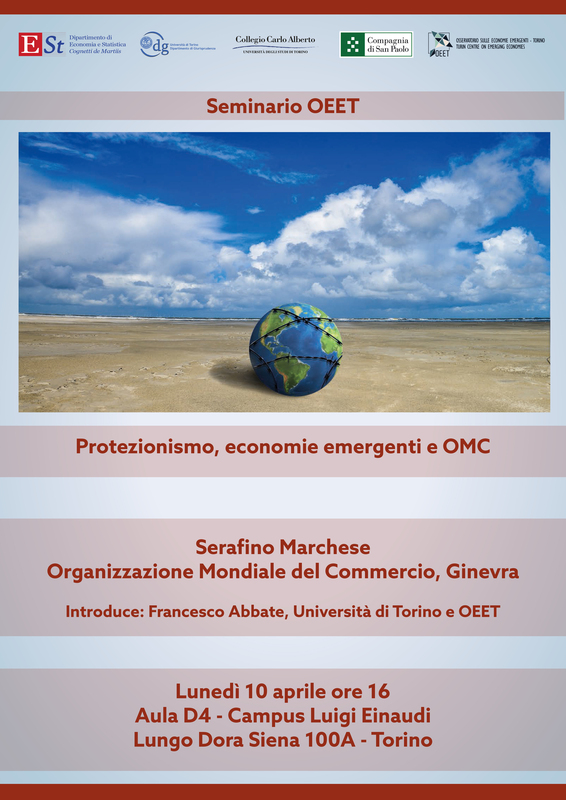 OEET è felice di annunciare il seminario sul tema “Protezionismo, economie emergenti e OMC", che sarà tenuto il 10 aprile alle 16 da Serafino Marchese (OMC) presso il Campus Luigi Einaudi, Torino. 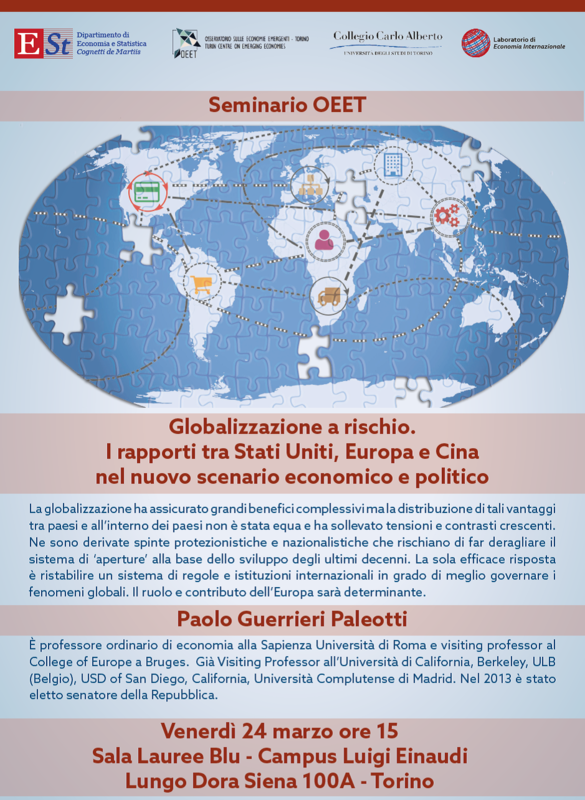 OEET is happy to announce the organization of the Lecture of Paolo Guerrieri Paleotti - Globalizzazione a rischio. I rapporti fra Stati Uniti, Europa e Cina nel nuovo scenario economico e politico. March 24th 2017, Campus Luigi Einaudi, Torino. 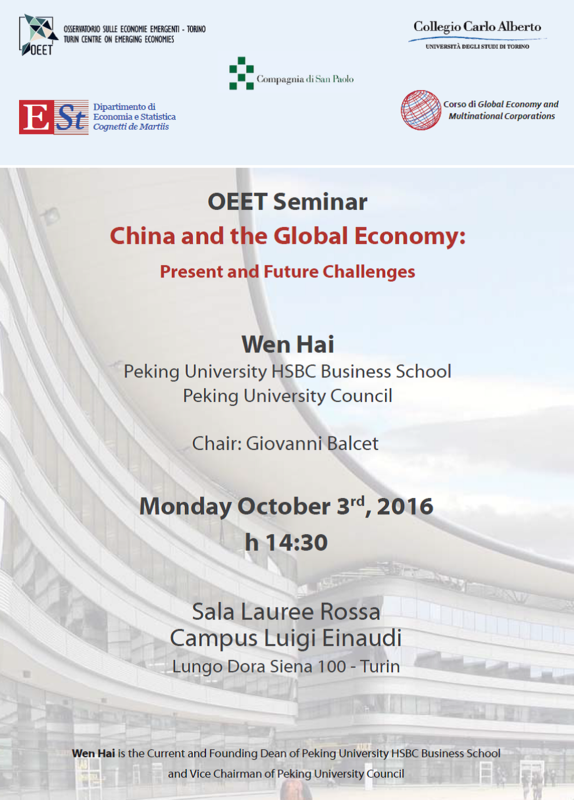 OEET is happy to announce the Seminar "China and the global economy" with Prof. Wen Hai (Peking University HSBC Business School) on October 3rd, 2016, CLE, Turin. 3rd OEET Workshop – "Chinese economy in transition"
The 3rd OEET Workshop "Chinese economy in transition" was held in Turin (Campus Luigi Einaudi) on May 9-10, 2016. Alessia Amighini (University of Eastern Piedmont) and Andrea Goldstein (Nomisma), The 21st Century great game: the New Silk Road and China-EU competition in Central Asia. Xavier Richet (University Sorbonne Nouvelle), The One Belt One Road initiative and its impact on China-EU Relations. Joel Ruet (CNRS-CEPN-Paris 13 and CRG-Ecole Polytechnique & Founder Observatory of emerging economies - France), The New Silk Road: A specific tool or a variation within a global strategy? Giovanni Andornino (University of Turin and T.wai), Gianfranco Carbonato (President of Prima Industrie), Sergio Chiamparino (President of Piedmont Region), Lou Tik (General Manager of JAC Italy Design Center), Giuseppe Zampini (CEO of Ansaldo Energia). Giuseppe Gabusi (University of Turin and T.wai), ‘The reports of my death have been greatly exaggerated’: China and the Developmental State Paradigm. Massimiliano Mazzanti (University of Ferrara and SEEDS), The role of China after COP21. Sustainable Production and Consumption issues and green technological dynamics. Lino Sau and Xiaotian Wang (University of Turin and University of Nottingham), Pecking order financing and inclusion of SMEs in China. 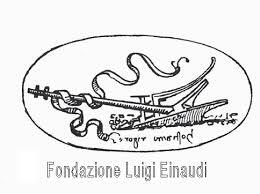 This workshop was possible thanks to the contribution of Compagnia di San Paolo.